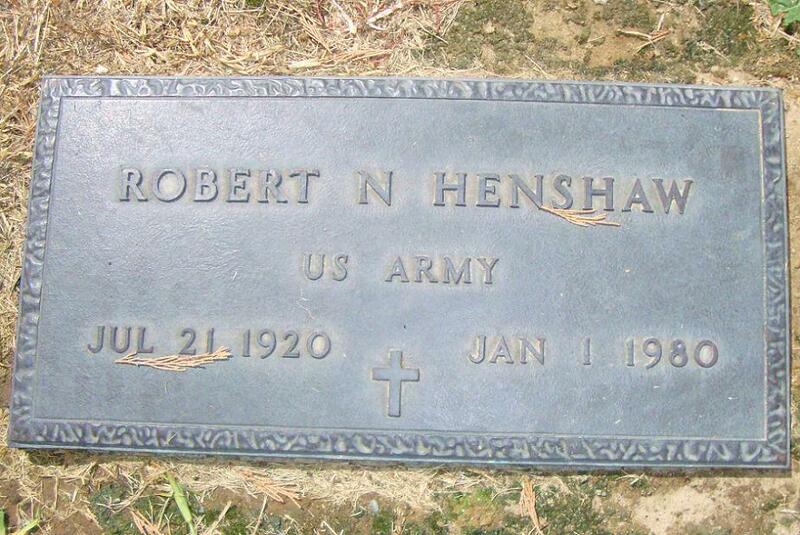 Robert Noble Henshaw1,3,4 [Dude Henshaw5]. He married Christeen Goodner1 [Christine Goodner7]. HENSHAW -- In Modesto, Christina June Henshaw, Riverbank, against Robert Noble Henshaw, cruelty. LaNora W. Hammond Henshaw, 80, of Modesto died Saturday at her home. Mrs. Henshaw was a native of Ada, Okla. She lived in Modesto 31 years and previously lived in Oakdale. She worked for Contadina Foods and was in the food processing industry for 30 years. She enjoyed crossword puzzles, Bible study and Willie Nelson music. She is survived by her sister and care giver Earline Trimboli of Modesto; sister Lorene Holland of Corona; four nieces and two stepdaughters. Visitation from 6 to 9 p.m. Wednesday at the Colonial Chapel of Franklin & Downs. A funeral will be at 2 p.m Thursday at the chapel, with burial at Lakewood Memorial Park, Hughson. Remembrances may be made to Community Hospice, 601 McHenry Ave., Modesto 95350. Contribution from Kimberly Dawn Henshaw Parker. "Modesto Bee", Oct 25 1959; http://www.ancestry.com.